Outsourcing is simply the strategic use of external resources to deliver services or perform duties originally handled by internal resources and employees. Companies can realize several benefits by outsourcing business processes to 3PL companies, including lower costs, improved quality of goods/services, increased customer satisfaction, easier access to improved technology, resource management and so on. With advancements in technology, it is now possible to outsource services for a variety of business requirements to any location in the world. Businesses are increasingly outsourcing processes like fulfillment and warehousing, HR management, IT services, marketing services, customer service, etc. 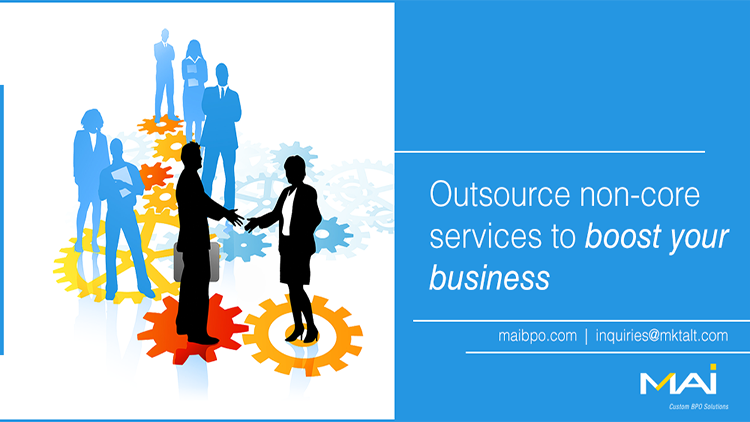 While management functions stay in-house, companies that outsource non-core services definitely benefit. What are the benefits of outsourcing non-core services to 3PL companies? Financial benefits - One of the most important benefits of outsourcing is cost savings. Lower labor costs and operational costs such as payroll, administrative costs, HR, power, rentals, and utilities are few areas that deliver these savings. The process of outsourcing also cuts down on infrastructure set up costs and reduces costs associated with recruitment, hiring and training of new staff. 3PL companies have professional employees with adequate training to take good care of your services round the clock. Resource sharing - Advancements in technology can be tough to keep up with. 3PL companies, however, focus on staying updated in their field of expertise. When you outsource your services, you are indirectly sharing your partner’s up-to-date resources, including space, employees and technologies. By outsourcing, you automatically reap benefits when your partner invests in upgrades or migrates to new technologies while also enjoying minimum downtime. Efficiency - When businesses outsource non-core services, 3PL companies train their staffs regularly and use the latest technology to provide efficient service. This allows in-house employees to focus on higher value tasks such as sales and growth of the company. Seasonal fluctuations in work and lack of employees during holidays can also be avoided. Simplified in-house work - By outsourcing non-core functions, business is simplified. With fewer staff and smaller office space requirements, the work environment is streamlined. Business owners still need to monitor details of how the 3PL company is performing, but overall outsourcing reduces the in-house burdens. Risk management - With cloud-based systems, the data security is higher. When you outsource to a 3PL, you are protected from natural calamities, accidents, market fluctuations, etc. Detailed back-up and disaster recovery plans provided by your partners allow the instantaneous response required to keep your business running. These are few advantages of outsourcing non-core services to a 3PL provider. There’s never been a better time to redefine your strategies and think of outsourcing some of your business processes.